February is a great time to start seeds indoors for many different vegetables & foods! Although the climate is different everywhere, these are pretty universal no matter where you live! You can see specific dates for your location using our FREE iOS, Android, and Universal Web App. Broccoli is one of our favorite plants to grow in the spring and fall. Not only are the heads delicious, but the leaves add a wonderful dimension to stir fries and provide a lot of valuable nutrients. You can also plant broccoli directly outdoors, but seeds are generally started indoors and then transplanted so the plant has plenty of time to grow before summer. We grow a lot of peppers in the summer because they are really easy to grow and thrive in our hot conditions. They are relatively pest-free and can actually help keep pests off other plants, making them a valuable companion plant. We like to grow banana, bell, hot, and sweet peppers! Tomatoes are fun to grow and even more fun to eat! The wide usage of tomatoes makes this one of our favorite things to grow in the garden. Bush tomatoes (or determinate tomatoes) only grow to 3 or 4 feet tall, but they bush out and require caging. Vining tomatoes (or indeterminate tomatoes) grow indefinitely until it freezes. Because of this, they require trellising on a tall support structure. Cabbage takes up a lot of space in the garden, but it’s very easy to grow and stores longer than most vegetables. We also like to grow Asian Cabbages, such as Bok Choy. You can also plant cabbage directly outdoors, but seeds are generally started indoors and then transplanted so the plant has plenty of time to grow before summer. Spinach is a staple of our garden in the spring and fall. We eat it nearly every day when it is in season. It is considered to be one of the healthiest foods you can eat, being high in vitamins K, A, B, and C, iron, calcium, and protein. Spinach can also be planted outdoors in many places as early as February. Kale is one of the things we grow the most. Its leaves are very nutritious, containing high levels of vitamins A, B, C, and K and large amounts of fiber, potassium, and calcium. Kale can also be planted outdoors in many places as early as February. You can also plant kale directly outdoors, but seeds are generally started indoors and then transplanted so the plant has plenty of time to grow before summer. See specific customized planting dates for your location for 80+ foods using our FREE iOS, Android, and Universal Web App! 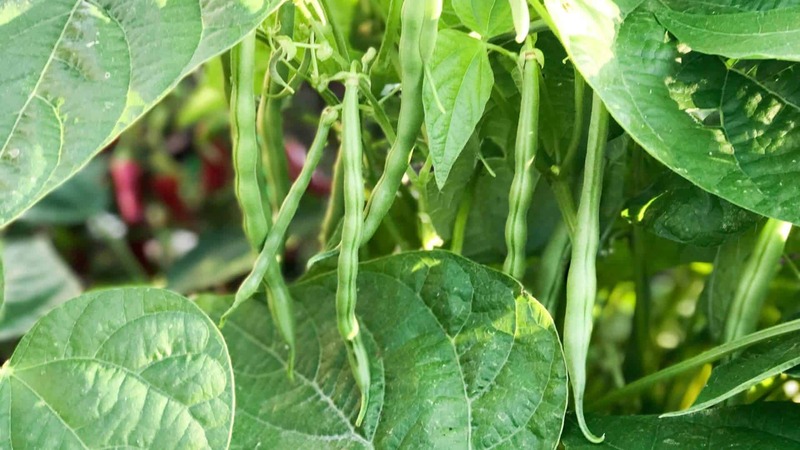 ⟵February 1, 2019 Update – 350 New Burpee Products, New Plants & Videos in Our From Seed to Spoon Garden Planning Growing Guides Mobile App! With our long growing season, we sow most seed directly into the garden. However, because of snails, and other ‘wildlife’, it is best to grow tomato, pepper and eggplants into small plants before putting them into the garden. There are a few other vegetable plants that we do the same for; those that we only need a few of, and that do not mind transplant.